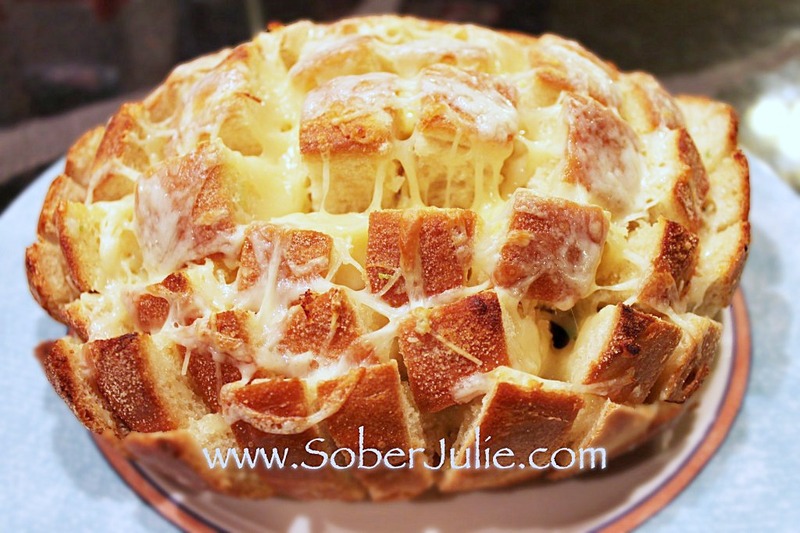 You Are Here Home » Recipe » Appetizers » Blooming Garlic Bread – You’ve Got To Try This Recipe! 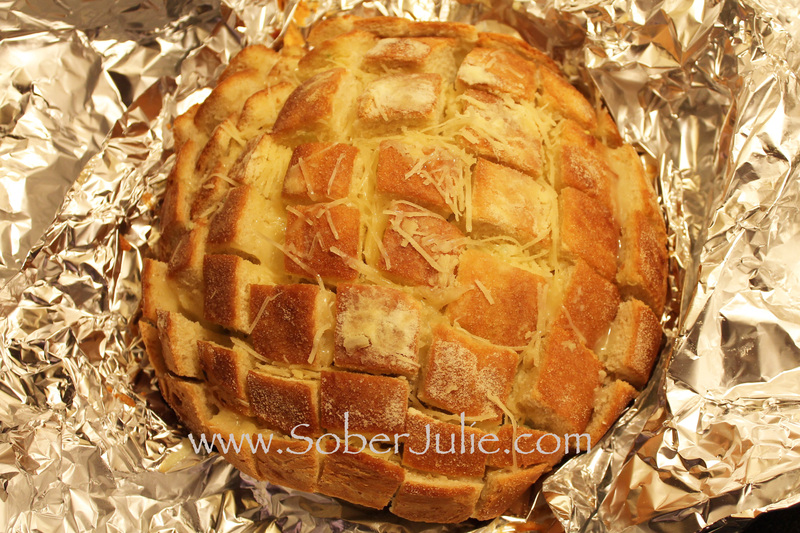 Blooming Garlic Bread – You’ve Got To Try This Recipe! If you’re a fan of Pinterest you may have seen these Blooming Garlic Bread pins flying by for the past few days. I am a HUGE fan of appetizers and decided to give it a go! 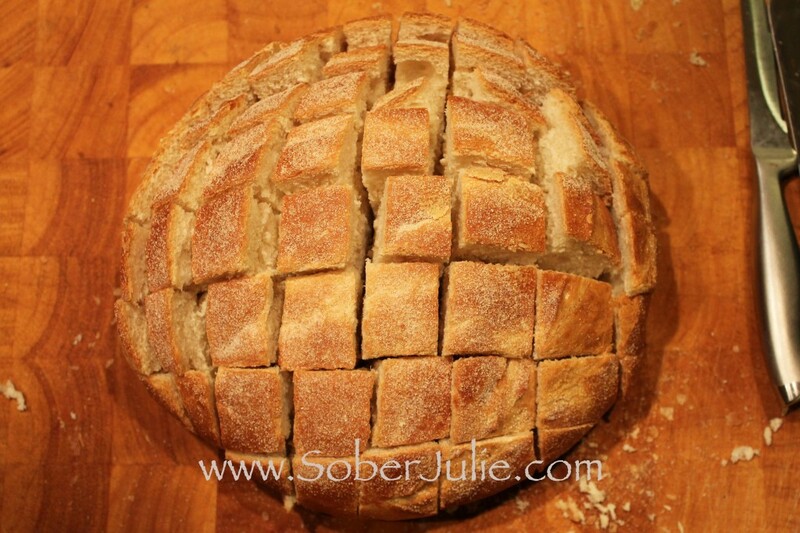 Begin by cutting your bread into 1 inch strips but be careful not to cut through the bottom crust. Turn the loaf 90 degrees and repeat the process again. This is tricky so go slowly and hold the load together firmly by putting on hand on the far end and your elbow against the other almost like you’re hugging it together. In a saucepan melt the butter and garlic until the butter is infused by the garlic. Next brush the garlic butter into the bread, be sure to dribble or brush in between each square and over the top surface. Now take each of the cheeses and green onion and tuck between all sides of each square; save some of the fresh parmesan and sprinkle on the top. Wrap the stuffed loaf (ok that’s hilarious) in aluminum foil and place in the over at 350 degrees for 15 minutes. Remove from oven, unwrap the foil and bake for another 10 minutes or until the cheeses are fully melted. Oh yeah, now there’s a whole lotta cheesy goodness!!! You can easily modify this by adding tomatoes and onion for a Bruschetta taste or how about pepperoni and tomato sauce for Pizza night? This is a fun appetizer which you pull apart with your hands, or if you prefer you could use a fork but pulling the warm, garlicky bread is half of the fun. Seriously? I am on a diet. This is making me go crazy! Looks so good. cheddar , but that’s also another of my vises! Can’t seem to win! OMGosh! This looks amazing and so easy to make! Thanks for the idea! Will try it over the holidays! Mmmm! I pinned this yumminess for later! This is awesome! I am always so intimidated to try this but I have a french baker near me so I can get a good boule and now I have a proper knives thanks to Cutco. I am so doing this at Christmas. Thanks for posting this. Our recipe uses 2 tbsp of ranch or renee’s caesar dressing as well. It will kick it up 10 more notches in flavour and deliciousness. (It won’t make it soggy) We also use havarti and cheddar for added flavour. Oh I’ll have to try that next. Oh my!! I bet I could do a number on that!! All that cheese and garlic butter – so yummy and easy! This would be great when you have a friends over. This will be my contribution to my family Christmas potluck ! YUMMERS! Thank you!! 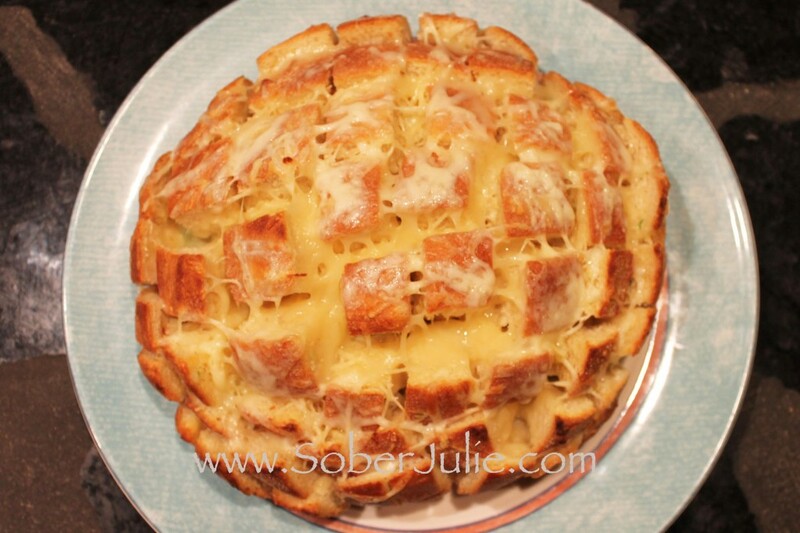 I just found out we’re supposed to bring garlic bread for Christmas dinner with the inlaws, so I immediately went looking for your post on this because I think it looks AMAZING!! Saving it now to make sure I don’t forget! I made a similiar dish (thanks to Pinterest) that was filled with cheese, garlic and jalapenos! Hollllly was it delicious! Making this tonight with lasagna. Instead of using store bought bread, I made my own and made individual round loaves instead of one large one. It’s in the oven now. Looks and smells delicious. Time consuming, hope it’s worth it! It’s in the oven right now and smells heavenly! I make this but add mushrooms and pepperonie to it! That bread looks so good! I’m going to try to make it!!!! I hope it turns out great! 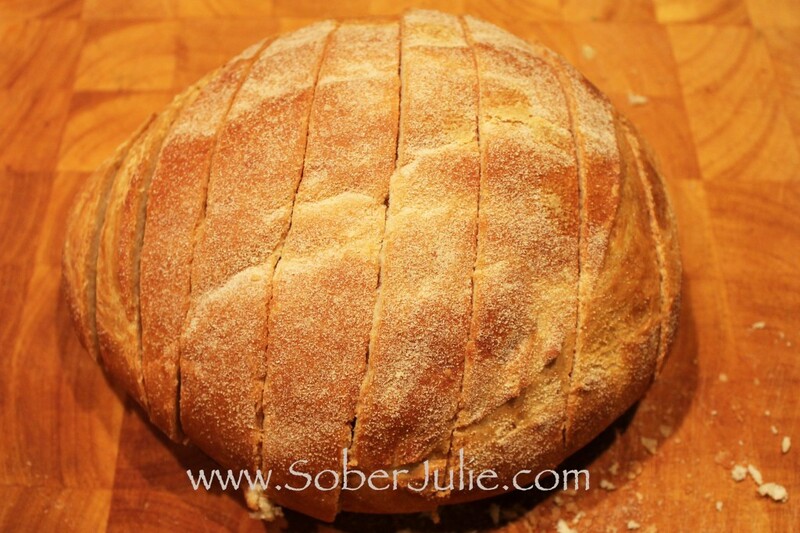 Can I use bread dough if I prefer?